Enertia HVAC/R employs technicians with the proper experience and training required for all types of refrigeration service work. No matter what type or size of business you own, we can help you with all of your refrigeration installation and repair jobs. Enertia HVAC/R currently holds an Environmental & Refrigeration “combo” license which allows us to work residential and commercial HVAC systems along with Refrigeration systems. We provide commercial refrigeration services to businesses throughout Collin County and DFW Metroplex area. 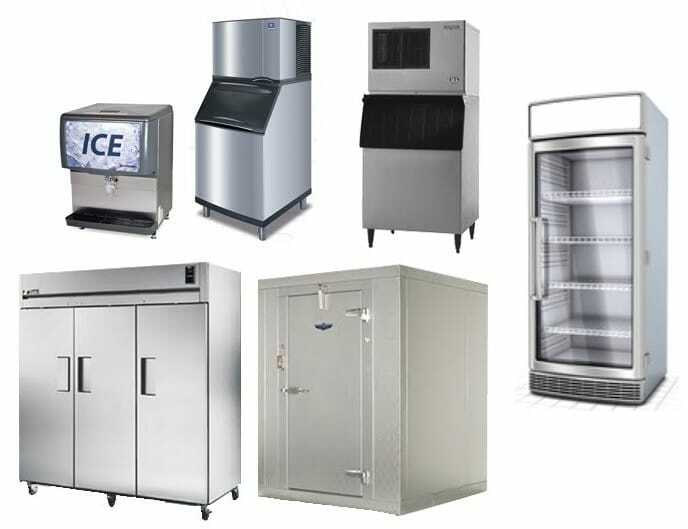 Commercial refrigerators, walk-ins, line freezers, coolers and ice machines – it’s critical for your equipment to run properly without down time. But when an emergency situation does occur, no matter what time of day, you can count on Enertia HVAC/R to correct the problem. We offer 24-7 emergency services for any type of commercial refrigeration equipment. We service a wide array of commercial clients including restaurants, bars, grocery stores, super markets, convenience stores, gas stations and more. Preventative maintenance is key to minimizing loss of product and revenue. With a preventative maintenance plan with regular tune-ups in place, you can minimize the likelihood of refrigeration failure. You can add some peace of mind knowing that your refrigeration equipment is in proper working order. Our HVAC/R technicians stay abreast of changes in technology and equipment to better serve our customers. Our team of HVAC/R professionals serve the entire Collin County market including Plano, McKinney, Frisco City, Allen City and the surrounding area. Our coverage also expands to the DFW Dallas/Fort Worth Metroplex area.